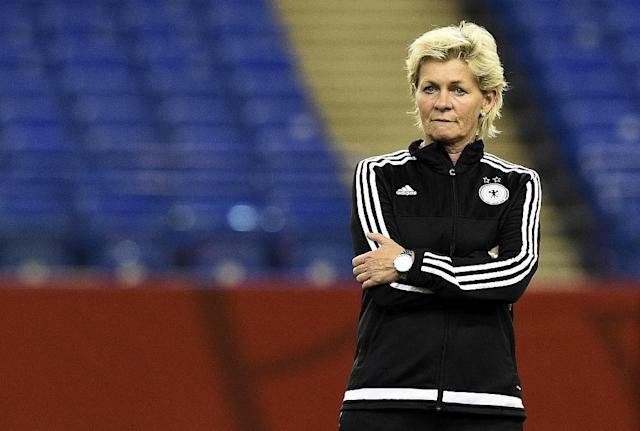 Montreal (AFP) - Germany coach Silvia Neid has slammed FIFA's decision to make rival teams share the same hotel on the eve of a match as her side prepare for Tuesday's semi-final against the United States at the Women's World Cup. "Two teams that are supposed to play against each other shouldn't be sharing the same hotel," Neid said of an arrangement that does not happen at the men's tournament. "But it's not only the case in the semi-final. It has been like that for the whole tournament," the 51-year-old former international continued. "For us it was difficult after having won against Sweden. The Swedish players were pretty sad, but we still had to share the elevator with them, and the same with France. "You play against each other, but you constantly run into each other in the hotel and that shouldn't happen." She added: "I don't think it's such a good idea, it could be avoided." US counterpart Jill Ellis admitted that it was pretty awkward. "The first day I almost walked into the German meal room," she said. "I don't know what's done on the men's side. That's a question for FIFA. "Our first opponent Australia, their meal room was right next to ours. Is it ideal? You make it work."